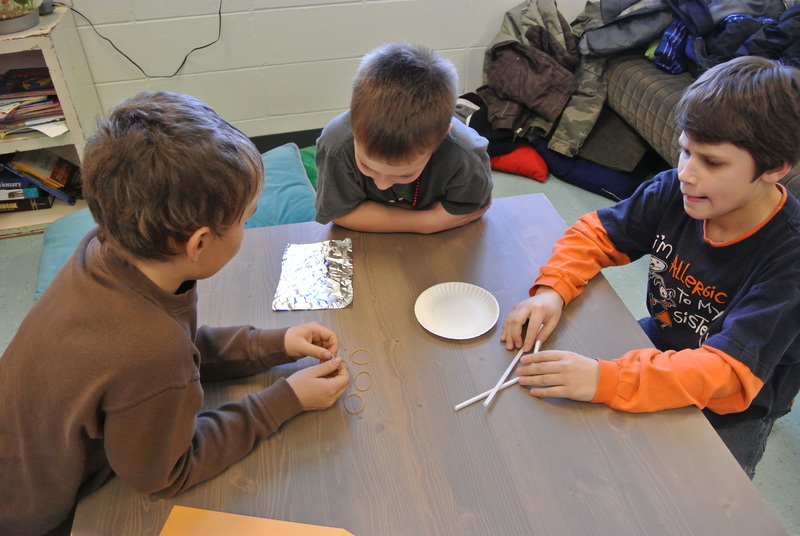 The activities I love best in the classroom are problem solving activities. Adding collaboration to these activities enhances the learning process. 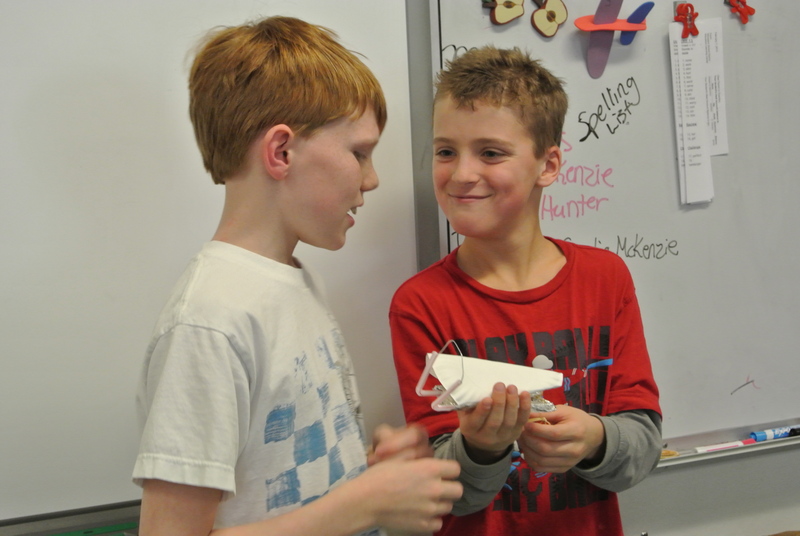 My students (3rd graders) had the opportunity to collaborate with 5th graders in building a dogsled. It wasn’t easy. Each group of 2 or 3 students was given a packet. Items in the packet were: 1 small paper plate, 2 straws, a 3×6 (approximately) inch piece of tin foil, 1 paper clip, and 4 rubber bands. Hmmm. There was a lot of thinking and discussing within the groups as they tried to find the best way to put their items together. Tape was not allowed, although a few students asked. Two groups asked to use scissors and that was allowed. Students did an amazing job with their dogsleds and no two sleds were alike. I’ve also done this activity with adult groups, and the students’ sleds were as well thought out as many of the adults’ sleds. To close the activity, each group shared their sled. It was equally split between 3rd graders and 5th graders who did the talking for the group. I don’t think they planned who would talk, it was a natural process. 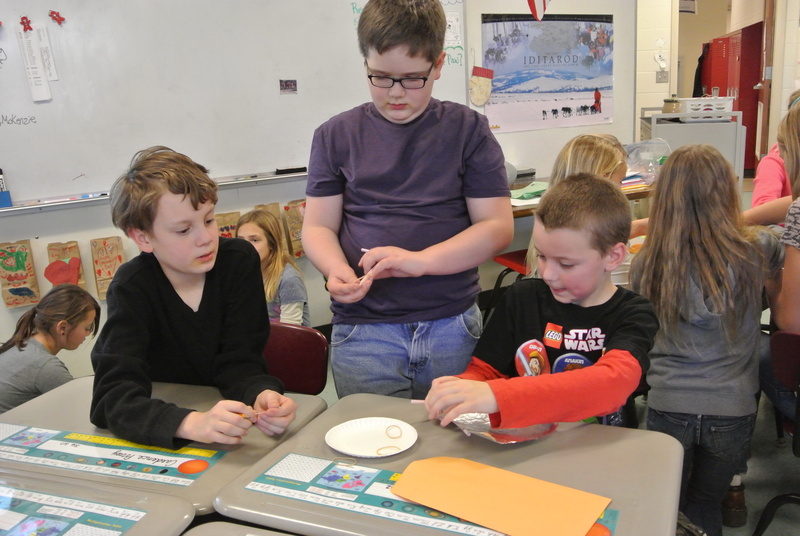 Thank you Mr. Harms and your 5th graders – working together, all students were successful.